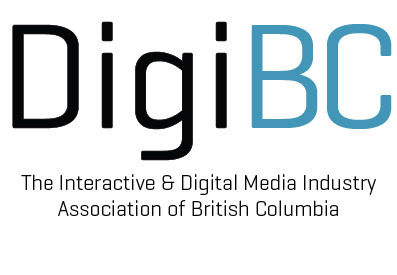 The following is the second of two benchmarks surveys that are part of DigiBC's audit of how inclusive the digital media workplace is for British Columbians. This survey covers benchmarks across RECRUITMENT, RETENTION, DEVELOPMENT, AND ADVANCEMENT; BENEFITS, WORK-LIFE INTEGRATION, AND FLEXIBILITY; and JOB DESIGN, CLASSIFICATION, AND COMPENSATION. This survey takes approximately nine minutes to complete. Thank you for your time. Please checkmark the benchmarks that apply. Leave blank if the benchmark does not apply. There is no effort to recruit, select, advance, or retain employees from diverse underrepresented groups at any level. Other than a short statement that the organization has an equal opportunity or similar policy, there is no mention of D&I in the organization’s public messaging. The hiring focus is based primarily on representation to meet diversity or equity goals or targets. Recruitment practices do not include diverse candidates as a matter of procedure for all positions. Development and advancement systems do not focus on including diverse candidates. Recruitment and development systems do not take into account how people from different cultures and backgrounds may respond to interview questions. The workforce is beginning to reflect the diversity found in the organization’s qualified labor market, but there is still underutilization of certain groups in mid-level and senior-level positions and some functions. Managers are educated in understanding differences and the impact their biases may have on selection, development, and advancement decisions. External search firms are selected based in part on their expertise in diversity recruiting. The organization offers a variety of development programs and encourages employees to take advantage of them. The organization attempts to remove biases based on personality type; for example, showing or restraining emotions won’t be seen as a barrier. Recruitment includes advertising on diversity-focused career websites, using social media, and networking with internal and external diversity groups. Recruitment and selection panels understand how bias enters into recruiting and therefore include members knowledgeable about the diverse population the organization wants to attract and advance. Special efforts are made to place members of underrepresented groups in positions that serve as succession pools for future promotion. Employees are encouraged to consider development opportunities and positions outside their current functional, technical, or professional area. Development through self-assessment, coaching, mentoring, and participating in projects where accomplishments can become known is open and encouraged. Employees are exposed to a variety of cultures, markets, values, and practices as part of development and retention. High potential talent is provided with internal coaches, mentors, and external coaching opportunities to maximize performance and develop advanced careers. The organization’s talent development processes have resulted in equitable and accessible recruitment, retention, and advancement and a pervasive feeling of inclusion. The workforce across all levels and functions is generally representative of the organization’s labor markets. The organization’s reputation for quality D&I efforts enhances its ability to attract and retain employees who contribute to outstanding organizational results. Turnover of members of underrepresented groups is in parity with that of the majority group. Please checkmark the benchmarks that apply. Only legally required employee benefits and services are provided. There is little or no provision for childcare and family needs, schedule flexibility, or work leave. Benefit programs generally are “one- size-fits-all” and their value or relevance to employees is not monitored. Work schedules are generally traditional, inflexible, and compliance-driven. Flexibility may be misunderstood, applied unfairly, or perceived as favoritism. Language and physical access are accommodated only when legally required. Paid leave is provided for healthcare, civic responsibilities, bereavement, and so forth. Religious practices and cultural holidays are mostly accommodated even if they are not the holidays of the majority. Flexibility in personal appearance and one’s workspace is allowed for most employees, provided it is done in a culturally sensitive way. Technology support for mobility, disabilities, and flexible work arrangements are available for select employees. Paid leave beyond what is legally required is provided and used. This may include care giving for spouses, domestic partners, children, and adult dependents. Work-at-home, job-sharing, and part-time work is provided for select positions. The organizational culture is accepting of those who work flexible schedules. Health and wellness benefits include education, clinics, fitness centers, employee assistance programs, and preventive healthcare, including mental health issues. Family-friendly services include subsidized childcare and eldercare (on-site or outsourced), lactation rooms, and emergency care. Accessibility and accommodation for religious practices, persons with disabilities, and other special needs are accepted and do not negatively impact the perception of performance. Policies and practices guard against favoritism and are applied equitably across the organization in a culturally sensitive way. An inclusive concept of family guides determination of benefits and participation in organizational events. Most leaders model work-life integration. Part-time, job sharing, and other flexible work arrangements are available for all appropriate positions. Their use, which leaders encourage, does not negatively impact employee performance or advancement. The organization accepts and recognizes diversity in language and accents, dress, religion, physical appearance, and non-traditional schedules as fully legitimate. A comprehensive range of flexible benefits and services, including education, health, and counseling, is provided. Based on research and assessment, benefits and services are regularly adapted to changing conditions, technology, and innovative ideas. The organization lacks systematic methods for classifying jobs or determining employee compensation. Based on stereotypes involving language, gender, age, culture, or disability, some jobs are thought to be “a better fit” for certain groups. Some written procedures exist for classifying jobs and determining compensation, but these are frequently determined by supervisors’ personal preferences. There is a policy on pay equity, but the organization does not conduct an analysis to ascertain if the policy is followed. Pay equity is measured and audited only if required by law. Jobs are designed to align individual needs with organizational needs as much as possible. The organization systematically reviews its job requirements, classifications, and compensation practices for bias and takes action to mitigate adverse impact. Classification/grading and compensation/ remuneration systems are widely communicated to and understood by employees. An analysis and design of jobs has resulted in some flexibility for groups requiring it. The organization adds additional compensation for parental leave beyond what the law requires. Job requirements and descriptions are clear and not confused by non-job-related factors such as gender, school graduated from, religion, age, sexual orientation, disability, appearance preferences, or culturally specific behaviors. There is increased acceptance of flexibility and variety in job design to accommodate employee needs for part-time work, working non-standard hours, working remotely, and taking leave for personal or other reasons. The organization ensures that annual compensation gap analyses are conducted to confirm that biases based on age, disability, gender, organizational function, race, and other potential equity issues are dealt with appropriately. The organization maintains equitable internal and external compensation and job classification practices. Innovative job design results in employees being paid for performance rather than “putting in time,” and enables flexible work options. Inequitable previous compensation systems have been addressed and individuals compensated. Classification and compensation systems have been modified to address conscious and unconscious biases and assumptions. There are no formal D&I learning or education activities. There is little D&I awareness, knowledge, or understanding. D&I learning is brief and focused only on educating employees about policies, meeting legal requirements, or assisting with language use. Persons designing and delivering learning do not have specific expertise in D&I. D&I programs are primarily “off-the- shelf” and not tailored for local needs and issues. D&I is integrated into the organization’s overall learning and education programs, including employee orientation, customer service, and management programs. D&I learning opportunities are developed in multiple languages if needed, and offered in a variety of accessible formats. Programs address sometimes-sensitive issues of privilege, stereotypes, bias, and “isms” and include development of skills to address those issues. D&I experts or learning professionals build D&I into every stage of the learning design and/or conduct the D&I learning programs. The organization encourages cultural celebrations and organization-wide activities that combine social interaction with D&I learning. In addition to general D&I education, employees also receive training to implement the D&I strategy. It includes content specific to their level and areas of responsibility. D&I professionals, experts in learning methods and cross-cultural education, and organizational leaders are involved in the development, delivery, and reinforcement of D&I learning and education. A variety of innovative learning methods are used, including classroom, self-study, experiential, eLearning, assessment, social learning, social media, videos, games, and case studies to meet D&I learning needs. Programs focused on specific dimen- sions of diversity, such as disability, gender and gender identity, sexual orientation, social class, generations, culture, religion, race, and ethnic- ity are offered based on identified needs. Employees and, if needed, their families receive cultural competency training and other support when relocating internationally, visiting different locales, returning from international assignments, or when working with interna- tional teams. D&I learning and education is an on-going, multi-year, developmental curriculum that takes individuals through graduated stages of learning. D&I is integrated into all learning and advances the organization’s strategy. A variety of innovative D&I tools, including both extensive self-directed and instructor-led learning resources, are accessible to all regardless of location. Learning from D&I best practices leads the way in creating new organizational culture, structures, services, and products that impact performance and sustainability. Challenging and sometimes controversial issues such as racism, sexism, ageism, classism, heterosexism, religious bias, stereotype threat, and unconscious bias are effectively addressed with sensitivity, fairness, conviction, and compassion. * Within what field of digital media is your company or studio?